Could Unroll Me Be The Solution? Everybody at one point or another has had a very large collection of emails in their inbox that they are not sure what to do with. The problem is not signing up and entering our email, the problem is all of the emails we receive from different places. Then what ends up happening to the emails? Most people mark them as spam and a few of the emails end up in a spam folder but many still come through into the inbox. Well, Unroll Me is the perfect solution to this problem. This software is designed to filter out the spam emails from the important ones and it is all done for free. What better way to organize your inbox and spam folder. It also sorts emails individually and creates new folders for different styles of emails. With software designed to help filter out the spam emails, Unroll Me can’t do everything to prevent loads of emails from reaching us. Some experts claim that people are beginning to drift away from email and would much rather see important messages changed to something more modern like text messages or Facebook messages. While this could be a viable option for some, many people would become very overwhelmed and would understand very quickly as to why emailing is better than these other options. To put it into perspective, sending an email allows a person to send almost an unlimited number of characters while most messaging systems break the message up into many messages. What could be sent in a few emails often times would end up sending in 3-4 times as many messages, even though it’s the same amount of characters. But this is where the stress and other problems would come into play. Many people would think they have 15-20 pending messages where if it were in email format, it could possibly be 2-3 emails. Converting emails to another form of communication could happen in the future, but it is probably not likely to happen soon. For now, Unroll Me is doing a great job at helping with many email related problems. The National Steel Car is one of the companies that has been in the manufacturing sector for many years. The firm was established in 1912 under the name Imperial Steel Car, and it is still fully operational to date. This is one of the companies that show the transformation which has happened in the business sector over the last one decade. The company has developed from a small company in the last century to now that it is leading in the production of rail products. Over the years, the company has been doing very well in the manufacturing industry. For the last one century that it has been in operations, it has not all been rosy. At some point, the company had to deal with various challenges that faced the industry and almost looked like it was on the verge of collapse. 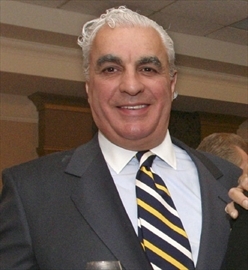 Gregory J Aziz is now the CEO of the company after he bought it in 1994 from a corporation known as Dofasco. This was one of the biggest decisions he has ever made in business. It was not a simple decision since he took over the management when production had reduced significantly. When he took over the operations of the firm, he was to start a new era of renovating it back to a top company. The good thing with Greg Aziz is that he was an investment adviser and an economist. He had the know-how on how to lead development in the company. He bought the company and started applying the latest solutions on business management. In no time National Steel Car was back on its feet producing a high number of railroad freight cars. All this had happened because Greg Aziz had taken the initiative of leading the firm at a time when it looked like the company was destined for failure. Greg Aziz was born in Ontario, Canada which is close to the location of this form. This was an opportunity for him to lead the development of a company that was very important to the local community in his birthplace as well as the economy of Canada and North America. Gregory J. Aziz applied dedication and commitment when running this firm and this is the reason he finally managed to resuscitate the operation of the National Steel Car. He applied the latest technology in getting the company back in business. He worked with top engineers who helped him rebuild the company again. In five years after taking over the management, the company was producing 12,000 cars annually. 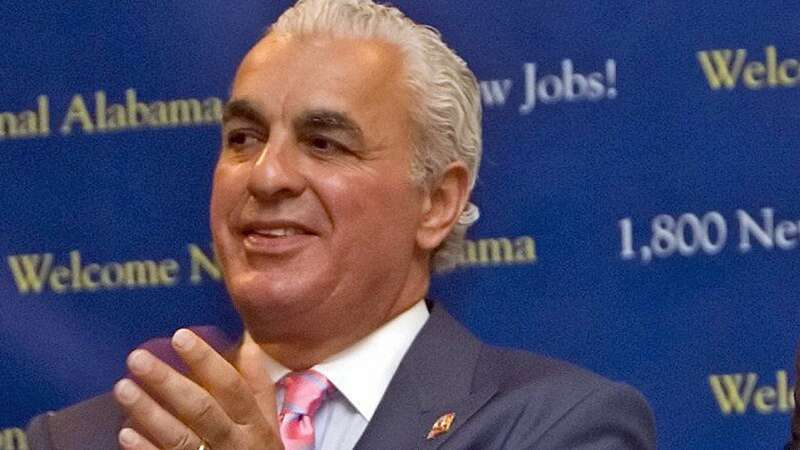 Gregory James Aziz is the owner of National Steel Car and he serves as the president, chairman and the CEO of the company. National Steel Car majors on producing quality and innovative railroad freight cars. Greg Aziz studied at the University of Ontario where he pursued economics. He then joined his family business that majored in importing fresh foods. Greg would later leave his family business and venture in investment banking in New York City where he served several banks. Due to this opportunity, he saved enough to be able to acquire National Steel Car in 1994 from Dofasco. When Gregory J. Aziz purchased the company, his dream was to transform it to a national leading railroad freight car manufacturer. Due to his passion and hard work to transform the company, Greg managed to expand the manufacturing capability of the firm and was able to produce 12,000 cars annually which was almost four times from its previous production. National steel car has over 100 years in manufacturing railroad freight cars. The firm is committed to quality and excellence and has therefore earned incredible reputation across North America as the leading manufacturer. National steel car is very dynamic, value-driven and innovative because they embrace technology. The company strives in pursuit of excellence and hence setting the bar high to challenge themselves. Their capabilities and efficiency in meeting customers need remain to be unrivaled in entire North America. As a result, Greg Aziz and his team have earned trust from their clients having built the highest quality railroad freight cars and their efficiency delivery. National steel car is known to be the only railroad car manufacturer certified by ISO 1900:2015 in North America. The company has also been recognized and honored for over ten years with the annual TTX SECCO award. This is a great achievement as it indicates excellence in manufacturing of railroad cars and that they have remained unchallenged when it comes to quality and efficacy. However, Greg Aziz and his team do not rely on the past success. They strive to remain innovative and to listen to the voice of their clients and their requirements to allow them to remain the leading in the industry. The secret behind the success of National steel car is the firm foundation of partnership, understanding, innovation, and trust from all the stakeholders. Greg James Aziz and his team are always ready to adapt to client’s challenges and needs so as to manufacture railcars that meet their requirements. Go To This Page to learn more. Shervin Pishevar made strong statements about monopolies and innovation. Their influence on new technologies has already catastrophically affected the economy. These impacts posed Washington D.C. with questions about inflation that they are not ready to answer. Old solutions that have been solved by equity markets being carried by bonds are no longer viable. However, there is a solution developing. The people should know that it is not occurring on Capitol Hill. It is a technology-centric innovation that has been sorely needed. Cryptographic technology is finally becoming a viable and foundational part of digital transactions. This all started with the original blockchain, Bitcoin, about a decade ago. A few years ago there was excitement because smart contracts were facilitated by the Ethereum blockchain. At the end of 2017, a major Bitcoin fork made the world acknowledge the potential of blockchains. Today, much of the public’s excitement has subsided, but the kind of innovation that was emphasized by Shervin Pishevar is as rampant as ever in this space. Blockchains support small business. This is another important aspect brought to the masses attention by Shervin Pishevar. Smart contracts have made it much easier for small enterprises to enter the cryptocurrency market. They bring unique ideas and solutions to important modern day issues. Small businesses foster varied viewpoints toward innovation. They develop solutions specific to industries. This has the potential for solving a lot of the world’s problems. It also makes regional and local issues more reachable. Increased precision toward solving modern day problems positively impacts the global economy. Instead of consumers adjusting their lives to what is made available, more practical options become possible. Solutions become catered to fit needs. Part of the reason that this is possible is that blockchains enable consumers to better voice their opinions. Blockchains have been touted as a tool that is destined to improve everyday life for all people who use technology around the world. Comments made by Shervin Pishevar at the beginning of 2018 support the revolution that blockchains are bringing. The impact is not just in financial markets. They affect all digital transactions. The man who brought himself to a wit’s end and still kept going no matter what it was that seemingly got in his way is named David Zalik and he is currently the original founder and the CEO of GreenSky Credit which is an industry that gives people the ability to exchange credit and loans at a specified premium. The firm that he owns is actually the reason why he is the billionaire that he is today. He is succesful because he commits and focuses on his goals despite the distractions, and because of those habits that he formed as a little boy he now owns about a little over three billion dollars in assets. That is more than Donald Trump’s networth and it is due to the determination and perseverance David Zalik developed from a young and simple age of four when he and his parents moved from the land of Israel to go to the American soil that is the United States of America. He and his family moved there and his father who was born in Argentina became a school teacher in the University of Auburn. As previously stated David Zalik developed a heightens aptitude for learning at a budding age when he pursued education by reading math books at the age of four. This lasted about nine years before he decided regular school was too boring to stick too, so he enrolled in college at thirteen years of age by taking the SATs required to show that one is eligible to go to college. He did this and in that same year began a computer repair shop that he built from the ground up which is where he gets so much of his experience in the workd of finance. Nine years after building the computer business David Zalik decided that it was time to sell the structure that he put his heart and soul into when dot com was about to crash. He ended up selling it for a good sum of three million dollars. Yes, it can be easily said that David Zalik took his experiences seriously when it came to money. It’s not easy being an engineer. It’s one of the hardest fields to master, but it also offers the most freedom. Engineering requires that its professionals know how to overcome problems using whatever tools they have. The most important tool in modern engineering is technology. Beyond technology, good customer relation is another necessity. Arguably, one only needs to have good people skills when dealing with people. That’s exactly what National Steel Car does on a daily basis. The brilliant engineers and friendly customer atmosphere are why National Steel Car is the number one car manufacturer in North America. The company’s been dominating the industry since 1912, and Gregory J Aziz took over the company in 1994. James Aziz greatly values the original concept of the company and upholds its high standards. Gregory J Aziz also values the family atmosphere that was created over a century ago. Aziz worked at numerous companies before joining National Steel, but he’d never seen such a family bond at such a large company. He credits the company’s success to all the employees, customers, and suppliers that have worked through National Steel’s doors over the years. Aziz uses that friendly energy to keep production up and the employees happy. A family atmosphere is something that Aziz knows plenty about. After graduating from the University of Western Ontario, he worked at his family’s business. He worked there for a few years before moving to New York to become an investment banker. He stayed in New York until getting the CEO position at National Steel Car. Since joining National Steel, the company’s been awarded the TTX SECO award for the past 13 years. Every year, National Steel grows the gap between it and its nearest competitor. Unlike the competition, National Steel Car is ISO certified. It’s important to Aziz that his company never gets comfortable with past excellence. National Steel is also raising its own bar, pushing itself to produce better quality products. Over the past 100 years, National Steel has learned how to focus its strengths and produce unmatched products. See This Page for related information. As mentioned before, all of the company’s success is thanks to its workers. Creating a great company culture was one of the most important things to the founders. Currently, National Steel Car employs over 2000 residents from the local community. Gregory James Aziz has served National Steel Car well as their CEO. His skill here has allowed the company to achieve over 100 years in business and has laid the solid foundation needed to continue one for another 100 years to come. His inborn talent also has allowed him to be promoted to the Chairman of the Board. 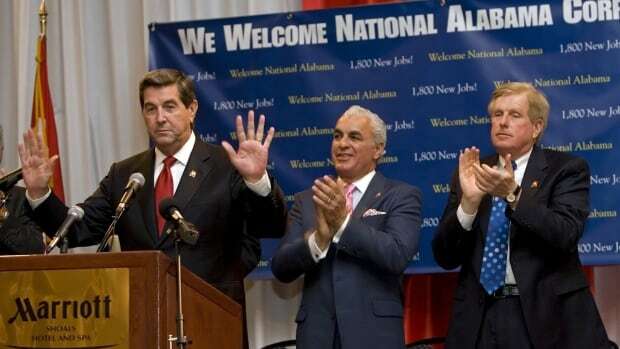 He would also go on to serve as the Chairman for National Industries Inc.
Greg James Aziz is a Canadian native. He was raised in Hamilton in Ontario. He loved this place so much, he would not only live there as an adult, he would move his business to this area. Greg Aziz has done so well at National Steel Car because he received a top-tier education at the Western University. From the lessons he learned here, he was able to excel in his role as CEO. His excellence as a CEO can be seen in the various things he did to secure the next century for National Steel Car. Upon arriving at the company, he immediately began promoting innovation and experimentation. He lay what seemed to be an impossible goal at the time in front of them. Decrease gas emission by 50%. During this time, Canada was looking to outlaw railcars who did not meet a certain emissions goal. In addition, those who could not decrease enough would only be able to travel so far. Greg Aziz knew this would destroy National Steel Car if something drastic didn’t change soon. Through his immense investment into Research Development, emissions did not decrease by 10%, 30%, or even 50%, but a dramatic 90%. This allowed National Steel Car to dominate the business scene. They were able to transport more, further, for cheaper, and more securely. When that happens in his field, you know you are going to win. See This Article for more information. Because of his achievements in this area, Greg Aziz was recognized by the various ministers that work for the Canadian government. They thanked him for his loyalty to creating a greener earth. This political endorsement put the seal on the deal. National Steel Car was number 1 and everyone knew it. Greg Aziz took the time to thank all those that made this happen. He thanked his customers, his suppliers, his workers, and his various executives. These four groups will ensure that National Steel Car may clear the next century in business. As far as the future, as the expression goes, it is so bright for Talk Fusion they need to wear shades. 2016 was a year that will go down in the record books for the company as they won two awards from the media giant the Technology Marketing Corporation (http://www.prnewswire.com/news-releases/talk-fusion-video-chat-wins-2016-communications-solutions-product-of-the-year-award-300315095.html?tc=eml_cleartime). It gives the proper acknowledgment and praise to companies that have immensely improved their product over the past twelve months. That is always the goal of Talk Fusion: improvement. They know they need to keep up with the times, as they do not want to get left in a cloud of dust. They want to stay ready and on their toes. This award shows they are on top of things 24/7/365 over at Talk Fusion. Technology plays a very big role in crime detection and prevention. And, companies like Securus Technologies are doing a great job at providing innovative products to help correctional facilities in investigations, crime mitigation and solving of crimes. Securus is a leading provider for technology solutions. The company is headquartered in Dallas, Texas but has branches in three other states including Carrolton, Atlanta and Allen. Courtesy of strategic leadership, Rick Smith Securus is now a leading provider for prison technology solutions. In less than a decade, the company is already shaking this industry. It is one of the most competitive companies in this industry. Besides, the company releases two new products every other month. And, unlike its major competitors, the company does not subcontract its customer service. Instead, Securus has invested money in building a state-of-the-art call center. They employ hundreds of customer service professionals, ensuring that customers are served without time wastage. Read more about Rick Smith Securus on bitsylink.com. It is such a reputation that has gotten Securus getting contracts with almost every North American correctional facility. Today, their papers read over 1,250 contracts and over 1.2 million inmates benefit from their products. But, this success did not just come to Securus. Good leadership is mainly the reason why the company keeps on outdoing its competitors. And the main man on the leadership of Securus is Rick Smith. There are various factors that make Rick Smith the best leader for Securus. First is his expansive knowledge in the industry. He has more than 4 decades of experience in the technology industry. Rick Smith started out at Frontier Corp, today known as Global Crossing, back in the year 1972. He worked for the company for 26 years, assuming a number of positions. At Global Crossing, Rick Smith only started out as a Controller and worked his way up, through a number of positions before finally being promoted to VP of Financial Management. Some of the positions that he was in before include president of IT, Director of business development and marketing, Director of Network Plant Operations, VP f Midwest Plant Operations, and CIO. After leaving Frontier Corp, Rick Smith was admitted into the Eschelon Telecom Inc. team. His first position at Eschelon was Chief Financial Officer. A year into the job and he was promoted to COO of the company. In no time, he was taking over the leadership of Eschelon, first being made president and director, then being employed as CEO of the company. During his tenure at Eschelon, he helped the company grow from a net worth of $30 million to over $300 million. He also led the company to an IPO in the year 2005. Futurist Jason Hope has become famous for his dedication and belief in the emerging “Internet of Things” where the everyday objects in our lives work together wirelessly to make things easier for us. He recently reviewed some top gadgets that people are now seeing in their homes. Athletics is one new frontier in the IoT. For men who love running and sports, shoes are about to become the next tool in fitness. Smart shoes can track the same basic features as any smartphone app on the market, like distance, speed and times. GPS data is even included, so all aspects of a workout can be evaluated, measured, and improved on, just by wearing the right shoes. According to rumor, Microsoft is even designing earbuds that will communicate with your phone on heart rate and activity levels, and provide the right music to maintain your heart rate. The home is one of the most talked about areas for the IoT. Gadgets can now control your home appliances, so on hot days you can turn on the AC during your commute for a cool, comfortable house when you walk in the door. The same goes for lights, washers, dryers, or lock and unlock your front door from your smartphone. Landscaping and irrigation links to the IoT can tell you how much you’ve watered and control the sprinklers from wherever you are, which will save a lot on future water bills. Jason Hope has spent years developing and researching how technology can improve our lives, whether it’s going through the motions of day-to-day or cutting edge medical research for treating the worst diseases. With his venture capital partners, Jason is cultivating future generations of entrepreneurs like himself who can guide the world into the future. Jason Hope also works closely with many charities in his native Arizona.